I am very happy to co-edit our eBook’s special Scottish feature with Larry Bethune. We highlight some of Scotland’s greatest writers and artists. One of our poets, Douglas Dunn, won the 2013 Queen’s Gold Medal for Poetry. Photographer Michael Russell is Cabinet Secretary for Education and Lifelong Learning in the Scottish Government. The National Portrait Galleries in London and Edinburgh have more than 50 of Norman McBeath’s photographic portraits in their permanent collections. This issue also includes gifted writers not from Scotland, including Major Jackson, a Guggenheim Fellow, and Lynne Potts, AGNI Poetry Editor and winner of the 2012 National Poetry Review Prize. 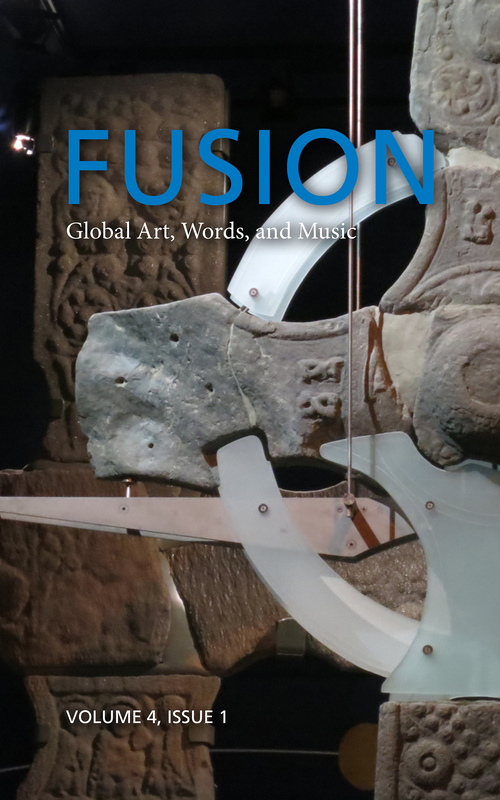 FUSION’s Translation Initiative pairs international writers with native English speakers, resulting in fine translations and a celebration of diverse cultures. We include translations from Spanish, Korean, Chinese, and Old Balinese.